Kohli amassed 593 runs at an average of 59.3 in the series which the visitors lost by 1-4 margin. 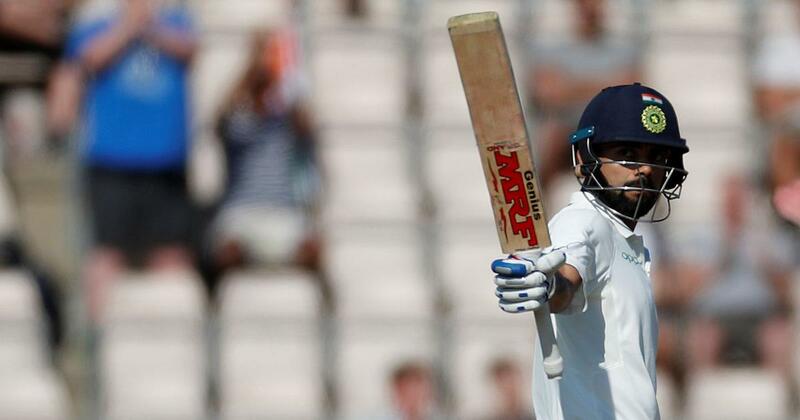 India captain Virat Kohli finished as the number-one ranked batsman in the world in the latest ICC Player Rankings for Test Batsmen after the completion of the five-match series against England at London. Kohli, who amassed 593 runs at an average of 59.3 in the series which the visitors lost by 1-4 margin, had started the series 27 points behind Australia’s Steve Smith and finished one point ahead of his closest rival. 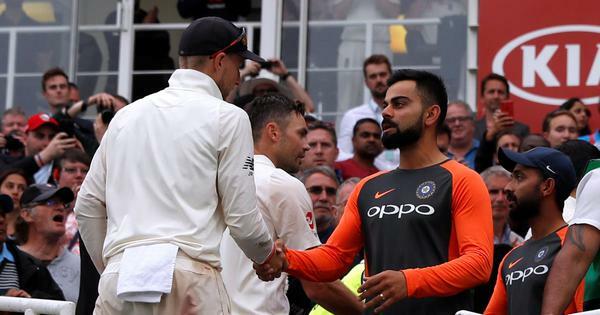 Kohli had first reached the top of the world after the Edgbaston Test and then reclaimed the top spot after the Trent Bridge Test. He will now defend his number-one ranking in the two-Test home series against the West Indies, which starts on October 4. India’s Lokesh Rahul and Rishabh Pant also made big gains in the latest rankings with the opener advancing 16 places to 19th position after his knock of 149. Pant also moved up 63 places to 111th position after his 114 in only his third Test match. Among others, England opener Alastair Cook signed off from international cricket on a remarkable note, moving into the top-10 of the ICC Player Rankings for Test Batsmen after a Player of the Match performance in the final Test at The Oval. The left-hander’s scores of 71 and 147 made him only the fifth man in history to notch a century in his first and last Test matches, and also helped his side win by 118 runs to complete a 4-1 win in the five-match series. This memorable performance lifted the 33-year-old 11 positions to 10th in the latest rankings, which were released on Wednesday morning. The former England captain has ended an impressive career with the third-best ranking for a retiring England batsman after Wally Hammond (fifth) and Geoff Boycott (eighth). However, he has finished in a higher position than any of the batsmen who scored more runs then him in the pinnacle format. Jacques Kallis hung his boots in 12th position, Sachin Tendulkar and Rahul Dravid both ended their careers in 18th spot and Ricky Ponting finished in 26th place. Apart from winning the ICC Test Cricketer of the Year award in 2011, Cook was named in the ICC Test Team of the Year in 2011, 2012, 2013, 2015 and 2016 (as captain). He also made his way in the ICC ODI Team of the Year in 2012, the year in which he reached his career-best fifth position in ODIs during the month of June. In the ICC Player Rankings for Test Bowlers, England fast bowler James Anderson started and finished the series in number-one ranking. After the Lord’s Test, Anderson reached a career-high 903 points. He had started the series with 892 points and finished just one point shy of the coveted 900-point mark.